Well, it’s been almost a week and a half since my MoP Beta failed. After suffering through 8 different error messages, the forums suggested to remove the program from my computer and to reinstall the game. Fine, I could live with that idea. Utilizing the Remove Programs option in my Control Panel and after some buzzing from the hard-drive of my computer the Beta disappeared. Next, I logged into Battle.net and within a few mouse clicks the download screen was up and running. I rubbed my hands in evil glee and walked away from my screen for a few minutes only to come back and find that after 20 mins of downloading I was now having the fatal BLZPTS00003 Error. (/sadface) Trying to ease my breathing and to relax my composure, I decided to head back to the forums for help. OMG make it stop, make it stop! Suggestions from players at the forums said the problem could be my firewall or virus protection software. Okay. I click on McCaffe’s symbol and click off its protection icons. I go back to Battle.net and begin the down load again. Within 2 mins of the download, Bam! Error BLZPTS00003 pops up on my screen. Immediately, I gave up and put a support ticket into Blizzard having wasted about 2 hours altogether. All of that happened three days ago and I still haven’t heard anything from Blizzard Support other than what I’ve read on the forums. I know they have been quite busy with the launch of Diablo III, so I wasn’t expecting an answer or any help for another day or two. Things like this happen and it’s understandable, and I can live another few days of not testing in Beta. Yes, I’ve come to stark reality that as it stands now, I’m in a “MoP Beta Error” hell and I can’t get out. At least not until I hear back from customer support. However, rather than getting negative about the problem, I decided to focus my energy and attention elsewhere and I’m happy to announce that a lot of good things have occurred. First, I decided to host The Great Warlock “Epitome” Tmog Contest. I still have no entrants as of yet, but I am a new blogger and I don’t exactly have a following. However, the contest and the prize are up for grabs, even if there is only one warlock who participates. Feel free to pass that link along to your fellow warlocks because as it stands now, your chances to win are very good. Don’t forget, the deadline is less than 1 month away! Another good thing that happened to me due to my MoP Beta woes was that I made some great memories concerning Diablo III. Like many others, I wound up getting caught up in the hype and excitement over Blizzard’s launch of Diablo III. From all the chatter about it from my guildmates, to all the tweets on Twitter and from the many conversations with my gaming friends, I quickly found that I too wanted to play against the demons plaguing the town of Tristram. Even on the night of the big event, I still hadn’t downloaded the game. Fortunately, with 40 mins to spare from the 12:00 am PST “Live” deadline I was up and ready to go. A few friends from my raid team and I hopped on vent together and suffered through our excited anticipation in waiting for the launch of D3 to begin. The game went live and then…Error 37 reared its ugly head! Error 37 stayed around for about the first 45 mins for my group and after that, we finally got in and began to happily kill mobs. I didn’t get to sleep until about 4:30 am and unlike many who stayed home with the “Diablo III flu bug” I still managed to leave for work at 6:45 am. Yes, a good cup of coffee and cussing out your friends when they aren’t around can do wonders for your outlook in life if you ever find yourself a walking zombie from no sleep. Which toon did I pick? A Witch Doctor of course! So far, she plays like a warlock so I’m loving it! Good times and great memories. Finally, another positive aspect of not being able to get my MoP Beta working is that with my free time I was able to do more research on blogging and I stumbled upon the Newbie Blogger Initiative (NBI). It looks like the NBI is a great way to meet people and to create connections with other bloggers who can offer advice and guidance for morons newbies like me. 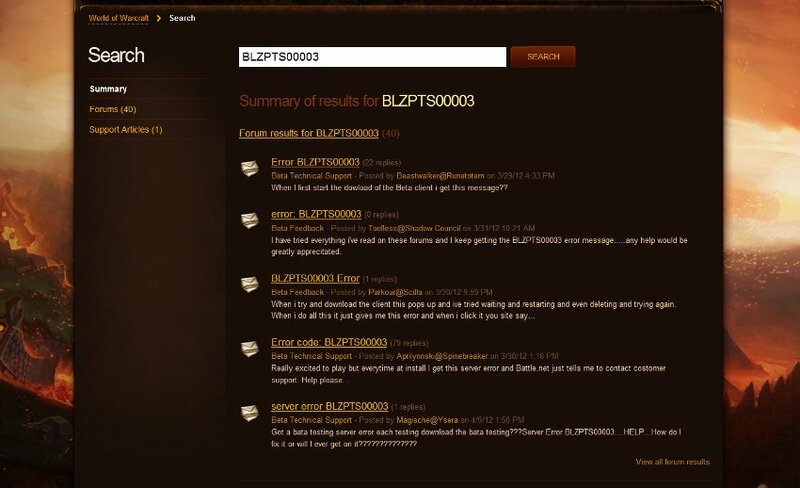 From the advice and tips that they offer on their forums over at NBI, it looks like they really have a great site with the new blogger in mind. What’s appears more amazing about the NBI is through their fun, imaginative and a creative challenges they help any new writer to think outside their comfort zone. It’s true that I’m saddened because my MoP Beta is failing me. Yes, it’s upsetting that I can’t test the new version of the game I love to play, nor can I report or stay up to date about my thoughts and feelings towards our wonderful warlock class and the changes that have occurred while my Error BLZPTS00003 keeps me at bay. For now, I’ll remain patient because I’m sure my downloading problems eventually will get corrected. Believe me, the minute my Error BLZPTS00003 gets fixed, I’ll be right back in Beta hitting the test dummies and trying to see how our new warlock spells and talents play out in real questing scenarios. 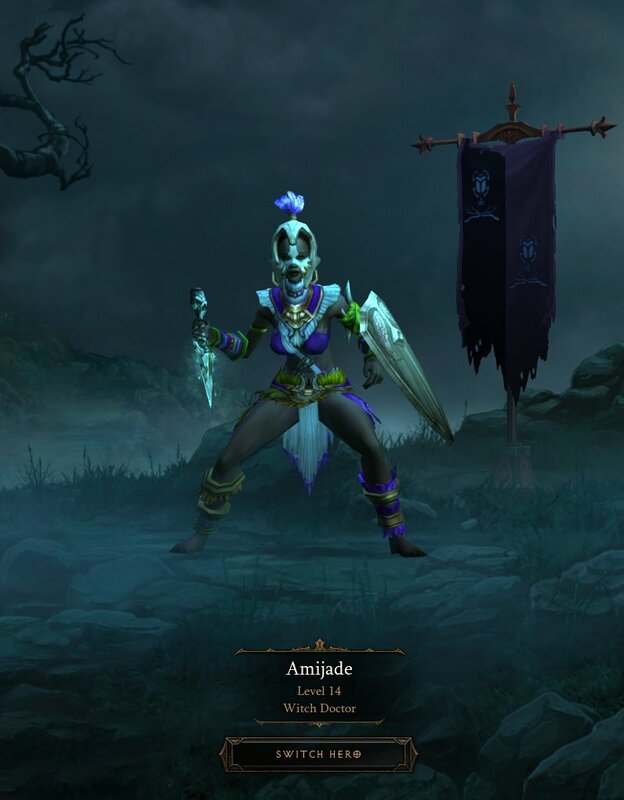 Until then, I’ll be anxiously awaiting for my email box to fill up with contestants for the Tmog contest, trying to sharpen my skills as a blogger and I can promise you that I’ll be getting lost in the depths of Diablo III with my friends. but quite a few people seem to have got past that error by saving it to their desktop and running it from there. Also about your warlock competition and forgive me if I missed it, but do we have to provide in-game screenshots of our Warlocks wearing the outfit or will pictures from MogIt or similar do instead? First, thanks for stopping by the blog and for passing along the link. Trust me when I say that I tried all of the suggestions under the forums. However, I’m positive I have found the culprit to my problems. It seems I had a keylogging program that McAffee wasn’t picking up. I ran a couple of other antivirus software and they found two different programs that were infecting my computer. I finished downloading Beta again about two hours ago and it seems to be working fine :) Woot! So it will be back to work testing and questing in Pandaria! What’s scary to me, is that I only visit trusted websites, and yet I still became infected. I’m sure having an autenticator helped! I realized something was wrong when I received an email from Twitter a few days ago telling me that my account was compromised and was suspended from suspicious activity. After reading their forums and tips I decided I better do a more thorough scan. Keyloggers! Bah! So now my Twitter and MoP Beta are both seem to be working with no problems. With regards to the warlock Tmog “Epitome” Contest, I appreciate the questions and I’ll make sure I get that clarified under the rules. Yes, you would have to provide an in-game screenshot. I love MogIt and it’s my newest addiction next to poking things with my dagger :P However, it would be rather easy to compile an outfit with that addon and simply take screenshots. I think most of the fun is not only finding the right piece to complete a look or outfit but to also go out and work to farm for it. I think it took me about 4 weeks to finally get the Nemesis recolor helm. It was work but worth it! If you have any other questions, please feel free to let me know!